Anchor care homes are decorated to offer warm, safe and friendly environments where people can maintain their independence and feel at home in our care. Our residential homes provide 24-hour person-centred care in comfortable homely surroundings with a welcoming atmosphere. In our care homes you can expect individually tailored care from professional caring staff, excellent home-cooked food, free activities and plenty of good company. Living with Anchor you can continue to enjoy maximum independence as well as peace of mind, knowing that help is always at hand. Each Anchor care home is fully furnished and decorated to a high standard with a range of practical design features presented discreetly. All our homes are fully fitted with a call system ensuring that help is at hand 24-hours a day, while specially equipped bathrooms, wheelchair access and lifts make day-to-day life more accessible. You can expect comfortable, self-contained bedrooms, most with en-suite facilities, and all featuring telephone and television points for digital and satellite TV in our care homes. We also encourage new residents to bring small personal items with them to further enhance their own rooms. Companionship is an important part of life and in our care homes the mix of large, bright lounges with TVs, radios and games, and cosy quiet areas, provide sociable spaces where people can meet with loved ones, mingle with neighbours, read, relax, watch films, chat or simply watch the world go by. 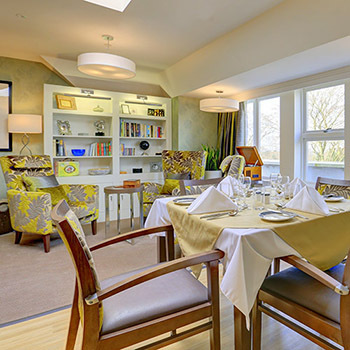 Many Anchor care homes also have a library, hair salon, tea room and pleasant outdoor spaces including, in some homes accessible gardening facilities such as raised flowerbeds and quiet seating areas to enjoy on warm days with family and friends. In most of our homes you will also be able to enjoy access to the internet via our Wi-Fi network, allowing you, your family and visitors to browse the web on your own devices throughout the building. Some of our homes also provide a guest room to enable your visitors to stay overnight if you should so wish. 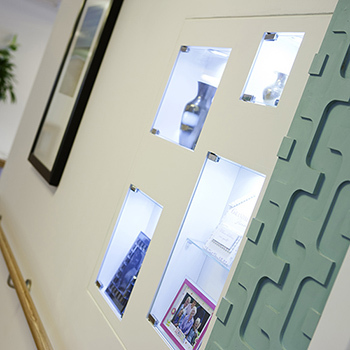 The design of our care homes take into account with the needs of people living with a range of different conditions including dementia, Parkinson’s and Huntington’s. 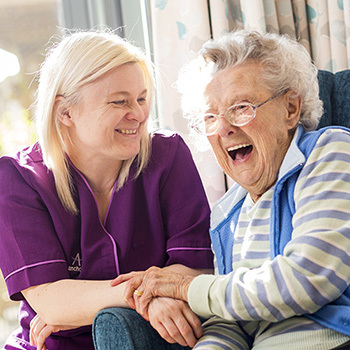 We continually consult a range of leading industry specialists to ensure that our care homes offer safe, supportive environments that maximise a person’s independence and enhance their self-esteem. Many of our homes are specially adapted with features to help residents familiarise themselves with their new home, such as the use of defined areas and appropriate signage that is clearly worded and pictorially illustrated. Calming interior design aims to make our buildings understandable to those with impaired memory and high levels of anxiety, enabling them to orientate themselves more easily as they go about their day-to-day activities. For more information about our approach, visit our dementia care page. У нашей компании классный web-сайт со статьями про sribnapidkova.ua.